I’ve made a Google doc with my availability between now and the end of the day on 5/6. Please find a thirty-minute slot where you are available to meet with me to discuss your work in the class and then enter your name in the Google column on the right and then please be certain that you enter that time in your calendar and show up at the time you’ve signed up for! There are lots of slots available, so hopefully nobody will have a difficult time finding availability. If for some reason none of those times work for you, then please send me an email with a couple of times when you are available and I’ll try to work something out. 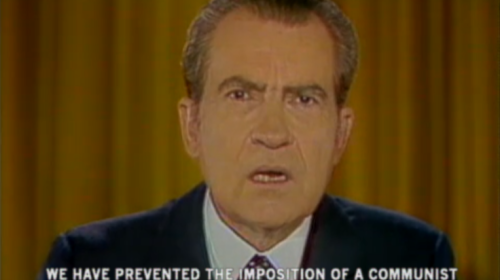 These conferences should be low-pressure meetings. We’ll spend most of the time looking at your site and discussing your writing, and maybe brainstorming future paths for your domain. If you have any questions about anything you’ve written or questions about the class or anything else, or something you want to do with your site that you haven’t figured out, then please feel free to ask and we can talk about it. Basically, I’d just like the opportunity to give you some individual, conversational feedback and to respond to any questions you have. I’m sure you are all familiar with the Emory course evaluation forms. I’ll give you time at the end of class today to fill out that form. However, that form is almost entirely focused on asking you questions about me and performance and doesn’t actually ask you anything about your own learning. The Writing Program wants to ask you a couple of questions about your learning, and I would like to know more about what you think you’ve learned this semester, so I’ve put together an end of semester survey of my own which I would like you to take first. There’s also a survey that we’ve put together about your experiences with Domain of One’s Own. Please take a few minutes and respond to that one as well. I’ve typed up the list of criteria we generated in classroom discussion on Monday. We’ll work on organizing that list in class on Wednesday, so before then look it over and add any more criteria that should be there. An opportunity has come up for me to take part in an important series of workshops on accessibility issues hosted here at Emory, running all day tomorrow and Saturday. I need to cancel our class meeting for tomorrow so that I can attend, but you should go ahead and read the article for Analyzing Vietnamerica for Monday. In order to decrease stress at the end of the year and direct energies where they will be more productive, I’m also going to replace the final group project with a different activity we’ll all work on as a group and by asking that you make sure your sites are pulled together into a coherent portfolio by the end of the semester. We’ll talk about those plans when we meet next week, but rest assured that there is no way this shift will harm your final grades for the class. The third assignment is up now. We will talk more about the assignment on Friday and then on Monday we’ll discuss the “Autoethnography” essay that you’ll use as part of your analysis. Please print out the essay, read it carefully and take notes on it, and bring your copy to class with you on Monday. 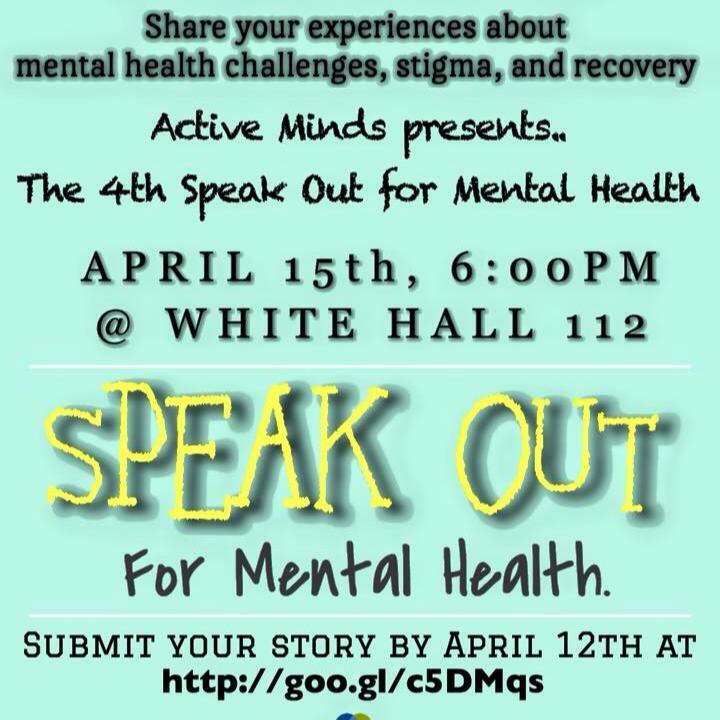 Active Minds (an organization dedicated to reducing the stigma surrounding mental illness) is hosting the Speak Out for Mental Health on Wednesday, April 15th at 6:00 PM in White Hall 112. Students will have the chance to submit stories about struggles with mental health, stigma, and recovery, which will be read (anonymously if they choose) at the Speak Out. I am told that it’s a really empowering and awesome experience. This week we’ll finish up Vietnamerica. Down the stretch of the semester, then, you’ll have stuff to write and revise, but you’ll have minimal reading assignments for the last two weeks. I created a Doodle poll to see if it’s possible to find an alternate time for our final meeting on 4/30, 5/1, or 5/4. Note that the times overlap–just indicate any 2-hour window during those days when you are free. If there’s a time where every single person in the class is available, then we’ll schedule it for then. If not, we’ll stick with the designated time on 5/6. Note that at the end of classes last week, I was asked to bump the due date for the Fun Home project to Sunday and I’ve acceded. Remember, come to class tomorrow ready to talk for one minute about your plans for the mapping Fun Home project–have a draft of your elevator pitch ready to go. You will also need to be ready to listen to your classmates as they pitch their projects and to offer feedback to them. Please make sure to get to class on time, so that we can start and get in 8 rounds of dialog. Bring your copy of Fun Home with you to class, along with any notes or sketches that you’ve made. Half the class will remain stationary while the other half will rotate seats every 6 minutes. At the start of each session, you and your partner will take turns talking for one minute about your plans. Listen carefully and take notes as your partner talks. Once you have each described the project you have in mind, you’ll have 4 minutes to give each other feedback and suggestions. When I call time, those of you who are rotating will each move one seat over and then and the process will repeat. In the 50 minutes of class, we should be able to get in 8 rounds of 6-minute dialogs. You’ll have spoken one-on-one with half of the class about the projects, so by the end of the day Friday, you should have a broad overview of what your classmates are thinking about and you should have gotten a range of different responses and suggestions about what you are thinking about. Hopefully, you will leave class on Friday with a sense of empowerment as you come down the stretch on finishing the assignment. Header image: detail from "Undefined 7" by Atsushi Koyama.